Our Medium Rivet uses a lighter 1830mm "L" shape beam that offers loads up to 300kgs. 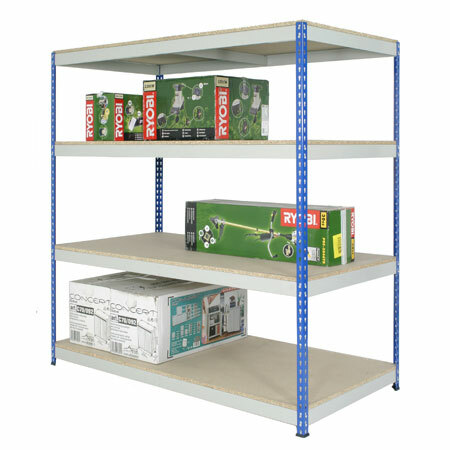 This provides a more cost effective option for storing long or bulky items. The bays are available in depths from 305mm to 1220mm deep and any of the standard upright heights from the heavy duty range. The uprights are blue and beams light grey and each level comes with a central deck support and 18mm chipboard decking.